Sorry about lack of blogging over last couple of months, but have been busy sewing away, lots of new ideas & designs. 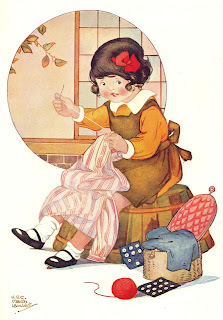 Found a lovely 1920s children's story book last week with this darling illustration. 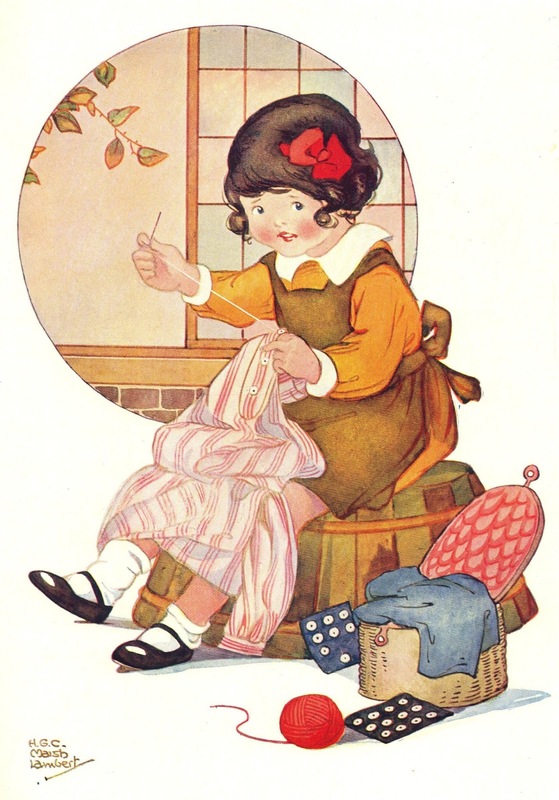 Afraid I don't look this cute when I'm sewing! Hope you are well too.Love the picture!